WorkGold plate designed by kundan and puti. 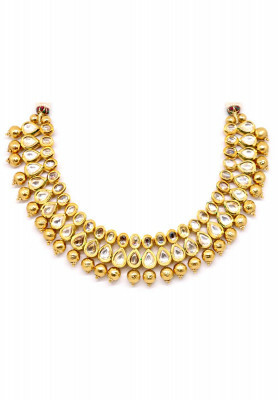 Gold plated bridal necklace set with ear-rings. 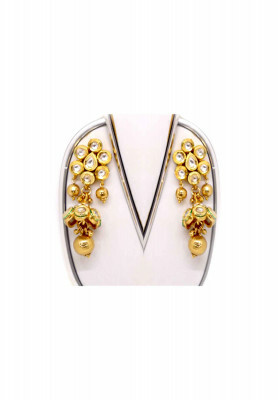 Comes with beautiful beads and golden Kundon work. Long ear-rings as great a great complimentary. Great for attendning wedding receptions. Goes best with Sharee.